Wellington Sewing Centre has a new owner called Jo, and I've agreed to teach some English Paper Piecing (EPP) classes in their revamped teaching space. My classes start on Wednesday 27 July at 10am, and run for three sessions. There are still spaces available if you'd like to learn some tips and tricks from someone who's done her fair share of EPP. 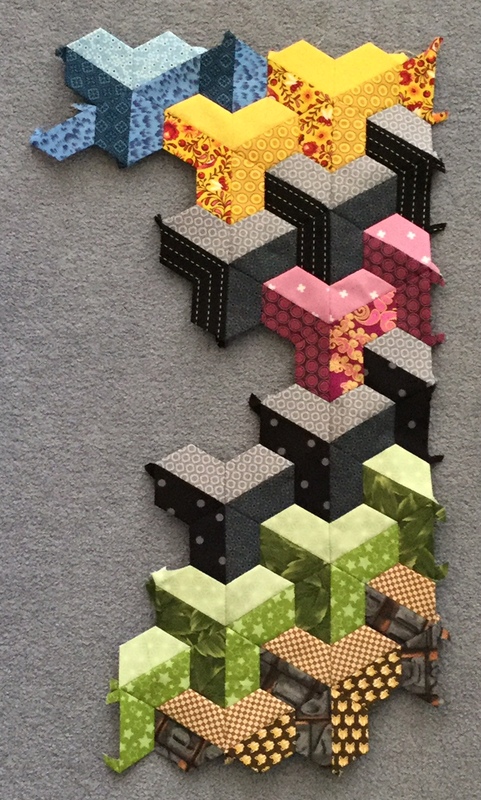 I'll be teaching your choice of Tumbling Colors or Inner City - both patterns by PaperPieces.com. The good news is you don't have to cut your own papers because they are included with the patterns. It's fun seeing the pattern emerge, but I'm going to have to stop somewhere. And here's some winter colour from my garden. The camellias, rhododendrons and daphne are all lovely at the moment. Although it's only about 12C (53F) most days, we don't get snow where we live, so the plants continue to flower through the winter. I would have come too. I will check the flight price from the UK! If I lived in Wellington, I would be the annoying student asking questions at the front of the class. There is always one. Best of luck, teacher! Oh what fun! I'd like to take an EPP class, too. I wish I were nearby--a new shop, a class, and new friends--oh definitely! Ooh, your camellia is way ahead of mine (possible something to do with me being a bit further south than you!) but it's not far away...I love the 3d effects of both of those patterns, that Inner City is ultra-cool! Have fun with your classes, I am sure everyone who goes along will enjoy themselves. I wont wish you luck, cause you dont need it, but I'm sure your students will have a great time Wendy. I too wish I lived nearby - I would come along. You can never learn too much and there's always something extra one can get from a class! Love the colours in your samples. I wish I could wake up early enough to jump on the capital connection, and come on down. I am sure the class will be a success. Have fun. 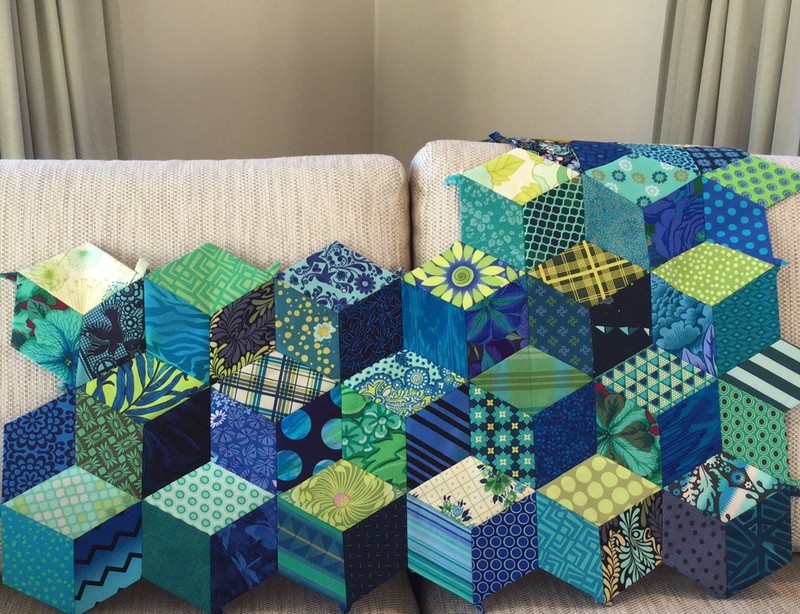 Wendy, your projects are stunning! I would be signing up for this class if I lived in New Zealand!! Love both patterns and your colors are soooo beautiful!! Thanks for letting me drool over something that is on my list to make someday!!! Congratulations on your upcoming classes. I'm sure they will go brilliantly. Decided to bite the bullet, see you wednesday. Just not looking forward to catching the train at 6:15am. Might need a strong coffee or two.